There is something true and holy in Islam according to the official teaching of the Catholic Church. 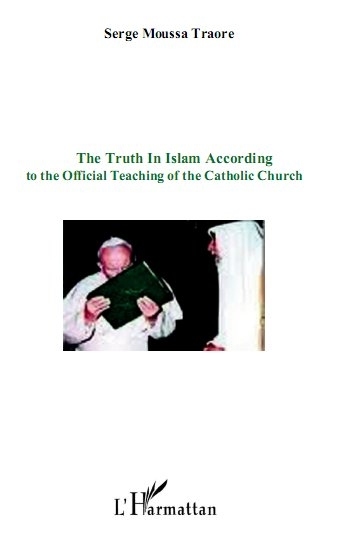 This book explains what the Catholic Church has actually recognized officially as true and holy in Islam. The purpose of this book is to promote better understanding between Muslims and Christians by recognizing what is true and holy in Islam. Its starting point is what the Catholic Church said in 1965: “The Catholic Church rejects nothing that is true and holy in these religions. She regards with sincere reverence those ways of conduct and of life, those precepts and teachings which, though differing in many aspects from the ones she holds and sets forth, nonetheless often reflect a ray of that Truth which enlightens all men” (Vatican Council II, Declaration Nostra Aetate, 1). The author is convinced that the recognition of what is true and holy in other religions is the best way forward for interreligious dialogue. He explores a new approach to religions based on the recognition of the truth of other religions. The book will help Muslims and Christians appreciate justly the official convictions of the Catholic Church about Islam. When the author has presented the truth of Islam he explores new and creative ways to preserve and promote the good things, spiritual and moral, as well as the socio-cultural values found among followers of Islam.